Explore our many career opportunities. Penske thanks military personnel and veterans for their service to the United States and for the sacrifices they have made to ensure our safety and freedom. We appreciate the values, work ethic and leadership skills veterans bring as associates to our teams. Penske is actively recruiting and hiring veterans nationwide. We seek high-performance people with a deep passion for customer service and high ethical standards. Sound like you? You can search for jobs using your MOS or MOC codes, as well as by keywords and geographic locations. See the search form at the top of this page. Penske is committed to hiring veterans and active Guard and Reserve personnel. Our focused efforts began in 2009 when we signed the Statement of Support for the Guard and Reserve. 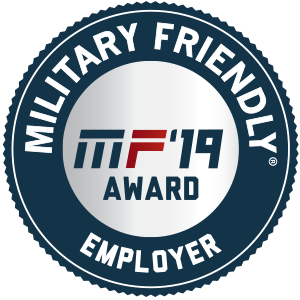 We promote employment opportunities in military publications, on veterans' job boards, and through exclusive partnerships with military-friendly organizations including ESGR, G.I. Jobs, RecruitMilitary, Military Officers Association of America, VetCentral, Bradley-Morris, Inc., Lucas Group, VRS Virtual Veteran Career Fairs, Hirepurpose and Corporate America Supports You. Penske has teamed up with Veteran Recruiting (VR) and other leading employers to support the VetFriendly Jobs Initiative to hire or train 100,000 veterans by 2020. Penske was one of many companies that joined efforts with VR to support the White House Joining Forces Initiative, which led to the hiring of 170,000 veterans between 2011 and 2016. Over the last three years, veterans represented 9 percent of all Penske new hires. Many of our veterans actively volunteer their time to mentor servicemen and women transitioning out of the military and into the civilian workforce, providing guidance on careers and overall recommendations for a successful transition. Penske is proud to partner with and support military-friendly organizations, including: The Paralyzed Veterans of America’s Mission: ABLE campaign, Support Military Spouses, World T.E.A.M. Sports and Toys for Tots. Our associates across America also regularly volunteer for organizations that support and honor our troops and veterans, such as Wreaths Across America and the Paul R. Gordon Veteran Social Center of Berks County in Reading, Pennsylvania. Penske offers discounts on truck rentals for active military members and veterans when reserving one-way truck rentals online. Penske has been widely recognized for supporting veterans and veteran organizations. Read more about our involvement with veterans on our "Move Ahead" blog. We spotlight veterans on our "Move Ahead" blog who have found a rewarding career at Penske.